American forests are at risk. Wildfires are becoming more frequent, fire season is lasting later into the year, and fires are burning for longer. And the costs of these fires continues to mount. The Forest Service spent $2 billion fighting forest fires last year. Wildfires in Northern California alone caused $65 billion in property damage and killed at least 17 people in 2017. 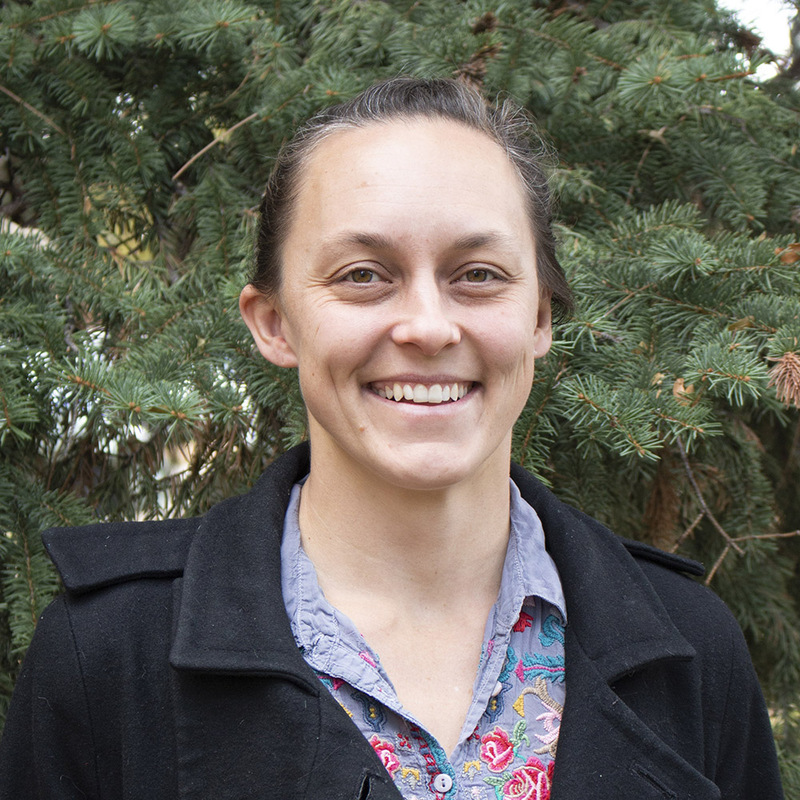 Dr. Camille Stevens-Rumann is an assistant professor of forest and rangeland stewardship at Colorado State University. These numbers are staggering on their face, but still they fail to account for a long-term effect: these forests may be gone forever. Since 2000, post-fire recovery and regrowth has been significantly slower than experts would expect. Dr. Camille Stevens-Rumann joined the National Climate Seminar to discuss why this is happening. In her talk (watch the full video here), she says that the failure of forests to recover after a fire boils down to the impact of climate change on forest fires in Western North America. In order to understand why forests aren’t growing back, Stevens-Rumann explains, we must first understand the role of fire in forest ecosystems. Periodic burns clear out dead branches and leaves on the forest floor to make room for new tree seedlings to pop up. Over the years, plants developed a wide range of adaptations to forest fires–some species have even developed seeds that won’t sprout without fire. But larger and more frequent fires have upset this natural cycle. 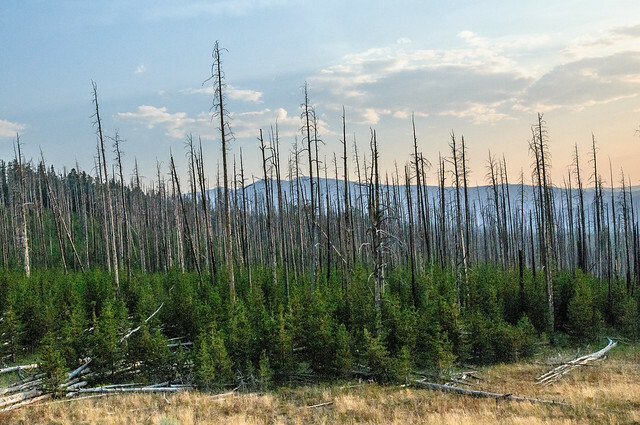 25 years after a devastating fire in Yellowstone, young pine trees represent a recovering forest. Photo courtesy of J. Klinger on Flickr. Historically, Western forests have been very resilient ecosystems. A resilient forest will recover after a fire, with new seedlings sprouting up to replace the trees that were lost. A non-resilient system, on the other hand, might only regenerate a few seedlings, or even transform into a new ecosystem dominated by shrubs or grasses. 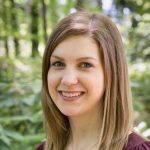 Stevens-Rumann and her team researched changing patterns of resilience in American forests. They assessed 1,400 study sites from Glacier National Park to southern Colorado, measuring over 62,000 individual seedlings, to document how real forests are recovering from fires and which types of forests are most at-risk. What they found was jarring. Before 2000, about 70% of the research sites were able to recover after a forest fire. But after 2000, the number of resilient forests dropped to less than 50%. Average site climate. Hot, dry forests are less likely to recover than cool, moist forests. Post-fire climate. If the years immediately after the fire are unusually hot and dry, forest loss is more likely. Heat load index. Landscapes that are exposed to direct sunlight are hotter, drier, and less likely to regrow. Distance to a living tree. If the fire is larger and more destructive, there are fewer trees to produce seeds and fewer seedlings are able to take root. What can be done to save our forests? Stevens-Rumann explains that some particularly hot, dry areas probably won’t be able to recover from wildfires no matter what we do. These regions will transition to grasslands as climate change progresses because the conditions will no longer support large trees. Efforts to replant trees may be helpful in cool, moist forests. Fire size and severity can also be maintained through regular controlled burns. This technique sounds counter-intuitive, but sometimes fighting fire with fire does work. After a series of dangerous and destructive fires at the turn of the 20th century, forest managers threw their efforts into preventing fires, or putting them out as soon as they start. The Forest Service introduced Smokey Bear in 1944 to raise awareness about fire prevention. However, it soon became clear that attempting to prevent fires reduced ecosystem health. Even worse, the fires that weren’t preventable had much more destructive outcomes than they otherwise would have been because so much fuel accumulated on forest floors in the years between burns. Since the 1970s, controlled burns have become an accepted part of forest management plans. Regular small fires can prevent huge wildfires. Despite the best efforts of land managers, however, it’s clear that the American landscape is going to change dramatically over the next century. Forests may seem permanent, but they are at risk as the changing climate makes them less and less likely to recover from natural disasters. Western forests and the many benefits they provide, from habitat to water and carbon cycling to recreation, are disappearing before our eyes. After graduating with majors in biology and psychology, Vanessa spent several years studying behavioral ecology of songbirds. She is interested in defending wild birds and other at-risk species through conserving forest habitats around the world.